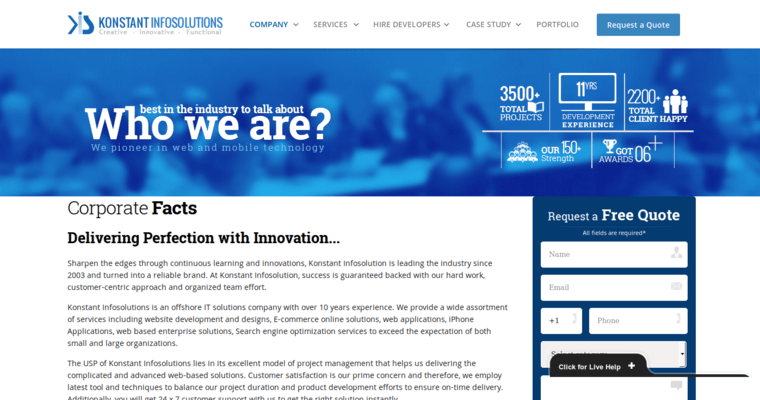 Konstant Infosolutions provides a variety of web design services. 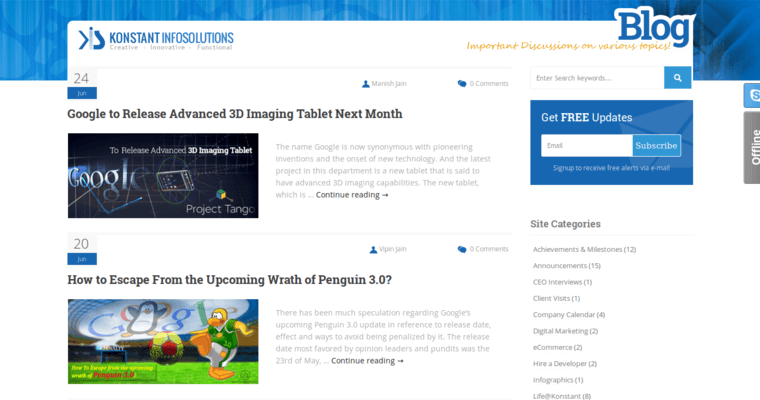 The websites they design are all made to be visually appealing and easy-to-navigate at the same time. Their created websites are extremely interactive, which is done by implementing a large amount of multimedia all throughout the site pages. This is done in order to keep the customer invested and interested in the content displayed on the site. All of their sites are optimized for search engines in order to provide the client with the highest chances of their site being noticed by potential customers. 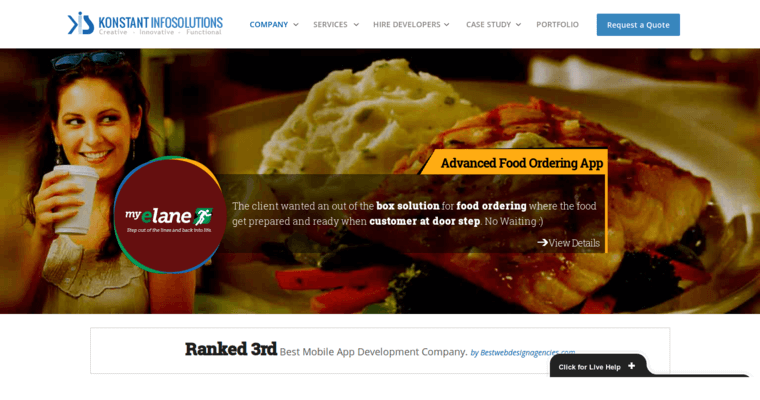 They also focus on delivering fully-customizable designs instead of design templates. This allows the client to customize every feature and design element that's going to be placed onto the site, giving it a more unique look and feel. Load times are fast and their employees have more than a dozen years of experience working within the industry.